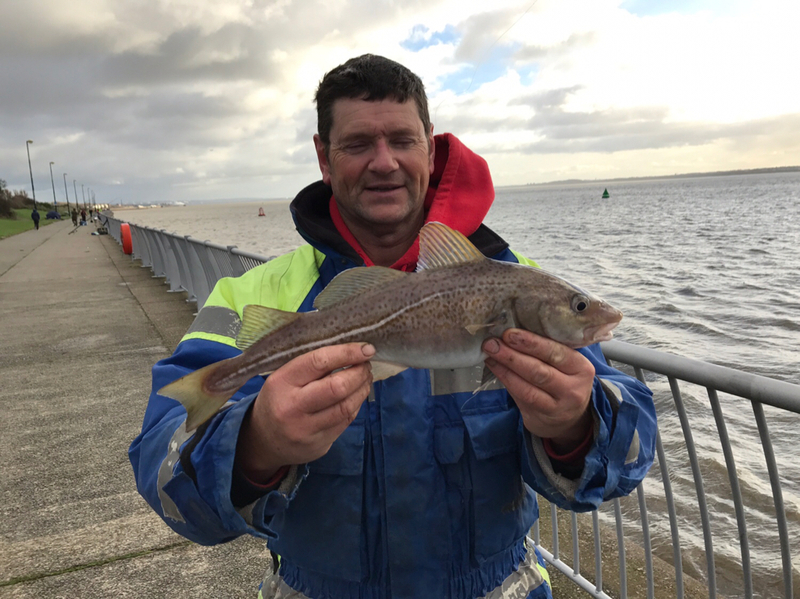 Gaz and I had a dabble at Otterspool today. We weren't hopeful given the recent wintery showers flushing cold water down the river. Though we had more chance with a line in the water than without so off we went! There were about a dozen or so rods fishing a match in our chosen area and so we walked a few mins further on and settled in to an unoccupied stretch. Bait for the day was Hoylakes finest black pythons for Gaz, and black and clam cocktails for me. First chuck long resulted in a snag and lost rig and so I decided to fish short, perhaps 50/60yds out where it appeared to be clear. Gaz went long and seemed to have a clearer patch of ground in front of him. He was soon into a fish and a nice one too at 3lb 8oz. So there were fish about after all. Indeed Gaz found another shortly afterwards, a little smaller this time at around the 2lb mark. A few minutes later he was into another of about a pound. He was on fire! I was yet to spark! Gaz wondered over to donate one of his Hoylake linfords. It did its job and I broke my duck with a whiting. Given that all of Gaz's fish had come at distance I decided to blast one out. 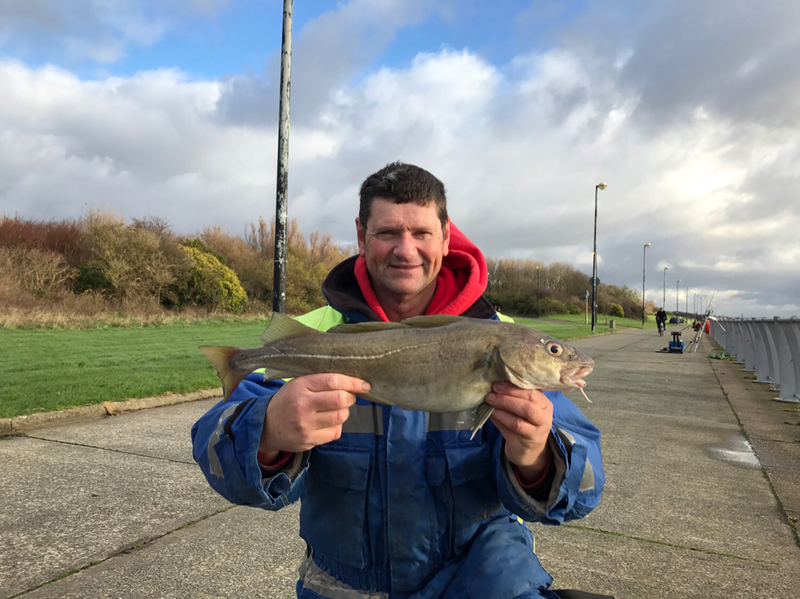 It was approaching slack water and so I wasn't overly hopeful, but a couple of good pull downs signalled a better fish and before long a nice coddo of 4lb 9oz was landed. Other than a splatter of whiting that was to be the last of the action. We fished into the ebb but an hour in and the pull was simply dragging us into snags. 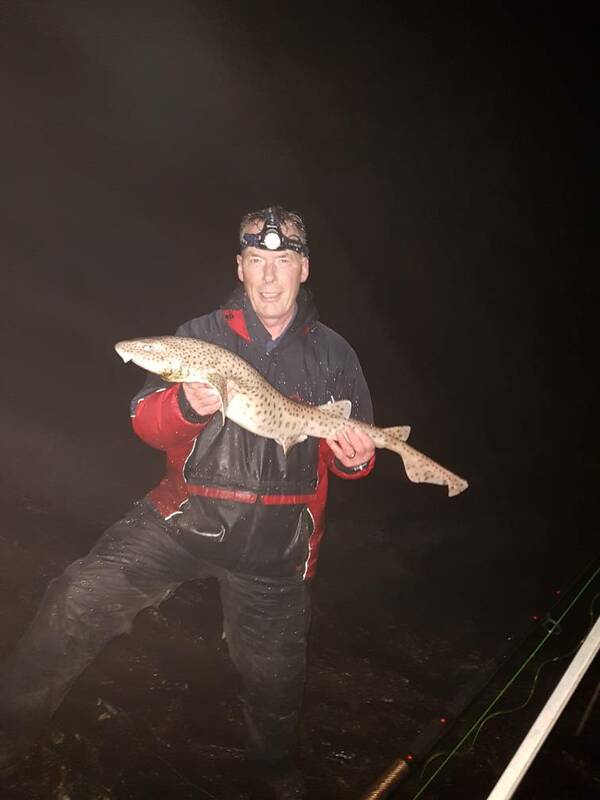 It was my first time out in a few weeks and so it was pleasing to find a couple of nice fish between us. Excellent session. 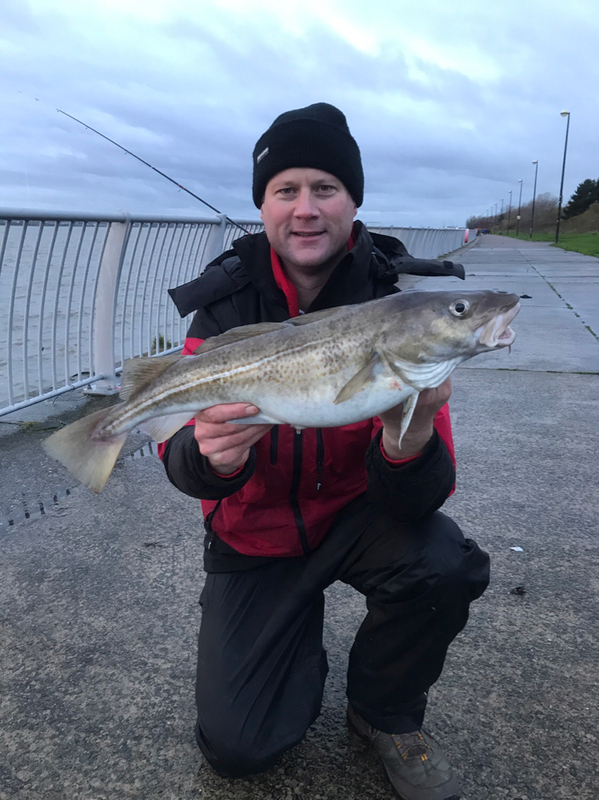 Cod seem to be happy upriver at the moment. nice fish gents.. colouring in Gaz's second pic is ace!